While Android and Apple’s iOS remain the market leading mobile operating systems by a wide margin, Microsoft’s Windows Phone platform has become increasingly popular during the last couple of years. A number of manufacturers now offer plenty of devices with Windows Phone as their operating system of choice, including HTC, Samsung and of course Nokia. Nokia is now by far the biggest manufacturer of Windows Phone devices, and the popularity of its Lumia series has been largely responsible for the increase in market share for the operating system. 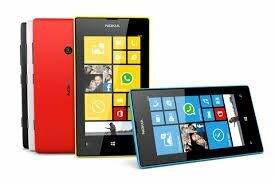 Phones like the Nokia Lumia 920 have played a large part in raising the profile of the operating system in recent months, but GSM Arena has recently reported on new data which shows the biggest selling Windows Phone handset. The title goes to the Nokia Lumia 520, which is the manufacturer’s entry level Windows Phone. The website has reported on data from AdDuplex, which has revealed that the Lumia 520 has now become so popular that it accounts for 13.3% of global Windows Phone sales, across all manufacturers. This is a very impressive achievement, considering fact that the Lumia 520 is a budget device, and shows that an advanced spec list does not necessarily equate to higher sales figures. Visit our website to find out more about the Nokia Lumia 520, and compare the best Nokia Lumia 520 contract prices. Although the Nokia Lumia 520 is a relatively affordable device, it still offers plenty of decent features. Alongside the Windows Phone 8 operating system, the phone includes a 5 megapixel camera, 4 inch touchscreen, 8 GB of storage with microSD slot and a 1 GHz dual-core processor. The phone also looks the part, sharing similar stylish design to phones like the Lumia 920, and comes in a handful of different colour variants. While Nokia has released several more advanced Lumia devices recently, like the Lumia 925, Lumia 928 and Lumia 1020, these phones are too new to have been included in the data.